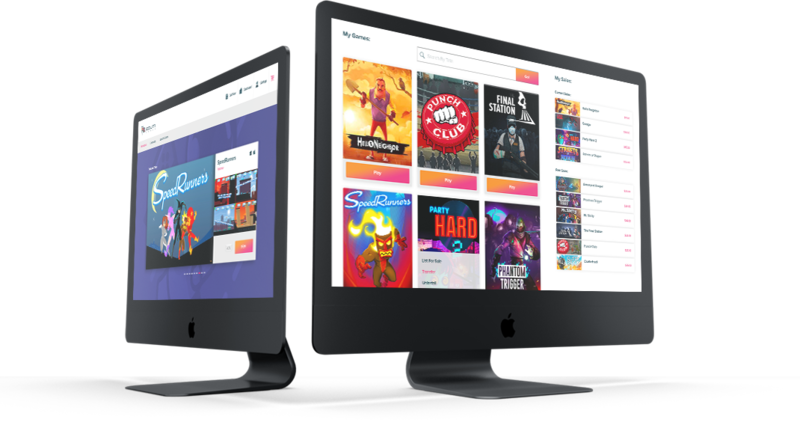 Equiti Games today announced its open game distribution and resale network designed to serve game developers, publishers, and users. Equiti Games returns distribution rights to developers and facilitates the resale of digital games through smart contracts run on blockchain technology. The distribution fee is just 10% - a third of the standard industry fee today - and its leadership team brings more than 45-years of games industry and resale marketplace experience with advisors from leading game independent developers. Equiti Games’ network and API creates a true secondary market for digital games through a blockchain-powered licensing network that enables developers to configure their sales and marketing strategies according to the resale value of their product on an open market. By utilizing a decentralized and cryptographically secure protocol, Equiti’s blockchain solution to the gray market in digital games provides an open standard to facilitate legitimate P2P exchange between various stakeholders across platforms. Equiti Games Servers (EGS) interact with game licenses through the Equiti Authentication Service (EAS), to expose APIs used both by Equiti Games clients and third-party applications. GameStop, the dominant reseller of physical games, earned $2.15 billion from the sale of used physical games in 2017, but according to Statista, 79% of all games sold in 2017 were digital, highlighting the burgeoning opportunity for a digital games secondary opportunity. Equiti Games’ Developer Portal consolidates user-feedback from the blockchain to inform developers of how the market responds to changes in pricing, new features, and reviews. Developers access better tools to connect with their community, incentivizing users to contribute by sharing a part of their games’ profits or special perks for referrals and reviews. Instead of setting a fixed resale fee, developers can create the terms of the resale percentage received by customers so the market freely dictates the true price-value, and as a result, organically grows participation in the network. In 2010, founder and CEO, Tony Caputo began Leaptrade, LLC, a web platform to provide gamers with a unique peer-to-peer network based on operational flexibility and furnishing the lowest possible cost for trading physical games. Product Lead, Jeffrey Vier, through Ideas by Nature, has developed blockchain products for blockchain companies such as SALT Lending, ShapeShift, Coinbase and KeepKey. For more information, visit us at http://www.equitigames.com. Equiti Games, headquartered in New York, is a digital games and resale platform that is empowering digital game developers and gamers by turning games into true digital assets via blockchain technology and smart contracts. The leadership team brings 45-years of experience in the gaming industry and is building a decentralized gaming economy that lowers distribution costs and a cycle of participation in the community to create, review, and play more games across an open network.